Game 163: It is not by technically a playoff game however it is pretty much the definition of a Playoff Game. After all, tonight's contest between the Rangers and Rays is a win or go home game. The Tampa Bay Rays are sending out David Price to start game 163 while the Rangers will have Martin Perez on the mound. Both clubs are familiar with the postseason and I hope we get to see a good game to kickoff the (pre)postseason. 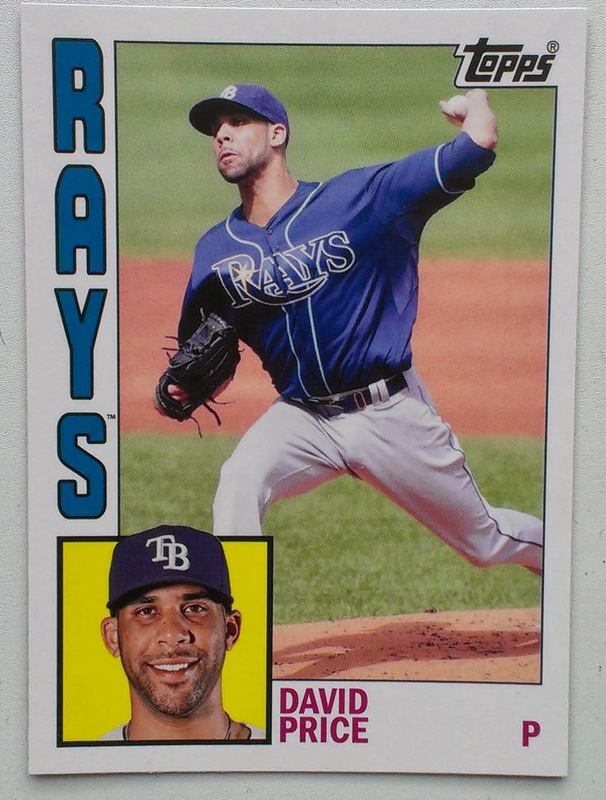 The David Price 2012 T Archives card above echoes 1984 Topps, a set which is similar to 1983 Topps but not quite as sharp for me. Within the 2012 Topps Archives the 1984 retros are the fourth Set represented, running from card #151-#200. Tonight the newest edition of the Amazing Race debuted. The show is part of the Team Phungo TV diet and will likely be part of our Sunday Night routine for the next few weeks. One of the teams featured in this seasons race is Nicky Gets and Kim DeJesus who are baseball wives of players Chris Getz and David DeJesus respectively. David DeJesus has been on the move a lot lately, He was traded from the Cubs to the Nationals and then to the Rays all in a period of a week. This turned out to be a very good week for DeJesus, He went from a struggling team to a potential postseason squad, then to a team that is a win away from being a playoff team. Three years ago former Phillies 3rd Base coach Steve Smith was featured on the Amazing Race with his daughter, Allie. The Greatest 21 Days covered Smith's race in this column. In only his 9th career start Michael Wacha came an out away from a no-hitter. One has to wonder if he will ever get the opportunity again. The Cardinals have a mess of good young players on their roster. Among those players are three pitchers Wacha, Lane Lynn and Joe Kelly. Topps USA is a small 61 card set with a couple of players that have already emerged. The most notable (other than Wacha after Yesterday) is Mark Appel along with the Orioles Kevin Gausman. There is a retail version of the set (one autograph card per box) which I see for $15 and under occasionally. In 2010 Topps produced a similar set that included Gerrit Cole and others. 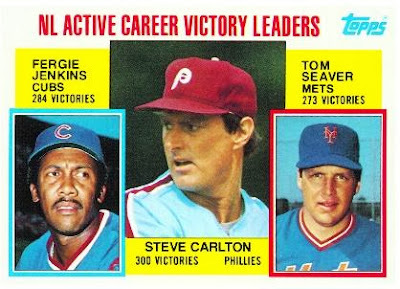 30 Years ago today Steve Carlton won his 300th game. I am curious if any other 300th win came at a bigger moment. The Phils entered play on the 23rd of September 3 games up with 9 to play. They had won eight consecutive games - a streak that would eventually run to 11. Carlton had 29 more victories left in him. Fergie Jenkins was done pitching following the 1983 season and the above card reflects his career win total of 284. Seaver eventually passed Jenkins and finished with 311 Wins. 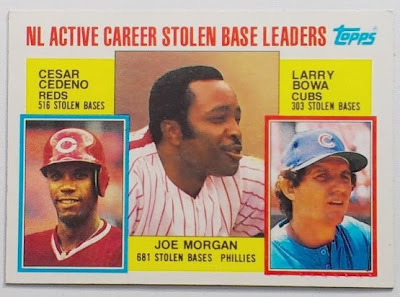 As I mentioned a few weeks ago the 1984 Topps active leaders subset is a fun one for Phillies fans to collect and this Wins Leader card is another great example. Once again the St Louis Cardinals are in the playoff hunt. They Cards minor league system continues to generate players that can contribute to the big club. Lance Lynn is one of these young players. At least he was one of them. 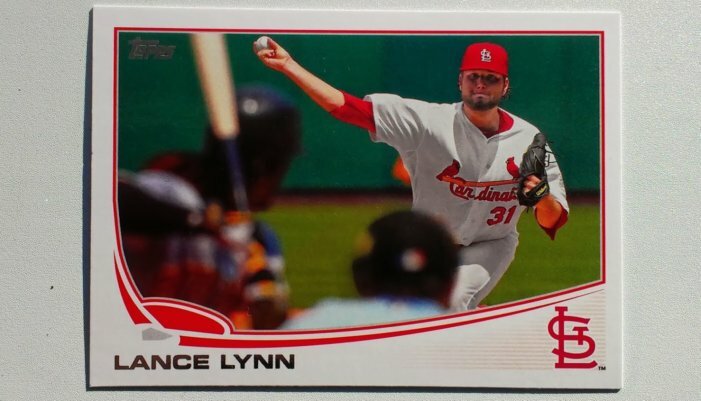 Lynn started off the season 10-1 with a 3.42 ERA, Since June 26th he has struggled compling a 6-11 record with a 4.690 ERA. I don't get the complaints regarding Topps photography in recent sets. The landscape version of the design fits the Pitchers from behind the plate well - the righty batter in the larger open area of the frame helps balance the shot. The hitter here also appears to be Andrew McCutchen, a star player who the Cardinals face frequently. This gives a little extra star power pop to the card. 2012 AnG Blasters running for $13 at the local target. Bucket Or Chuck-It? Solid group of inserts - SportsCasting Beauty Erin Andrews draws center square in this lot. 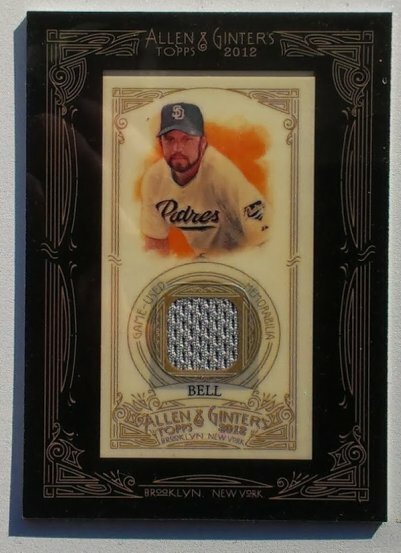 Heath Bell Relic w/ the Pix representing the Padres, the Relic may or may not be from the Padres or any other actual game or event or something like that. Not Sure the Smoltz pix looks a lot like him. 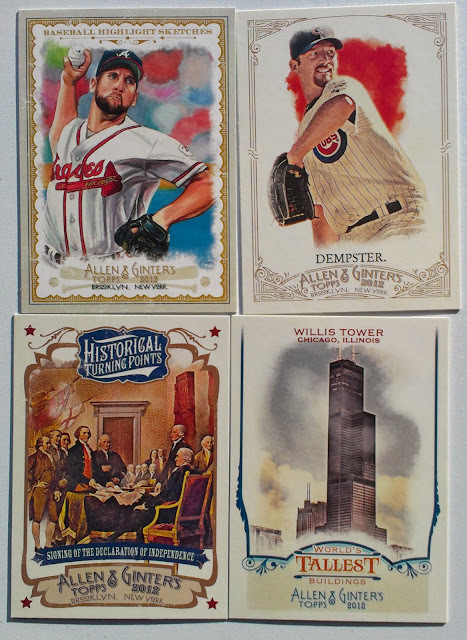 The Willis Tower is the Sears Tower in Chicago, Dempster is card #342 SP. .
That is Tony Gwynn the Hall of Famer in the Middle. Donnie Baseball on top and Jacoby Ellsbury last. 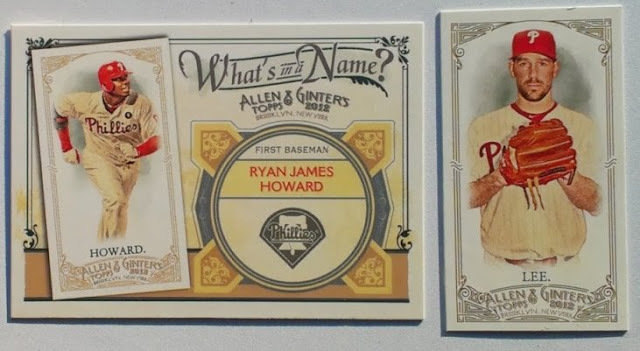 No Base Phils is a bust but gettting two inserts makes the Phils up for that, Erin Andrews makes the minis a win, meh on the other inserts. I imagine the hit rate for relics is about even for an AnG blaster. Overall, we give it a bucket. I got $13 of enjoyment out of opening that box. Note the 2012 Bargain Blasters are buck more than the 2011 and 2010 A&G Blasters were a few months ago. This is just one of several 2008 Clay Buchholz cards that reference the No-Hitter he threw in his second major league start. One of the things a Photo can do is to tell a story. This image of Buchholz throwing the No-Hitter early in his career rewards the fan for their baseball knowledge. The moment you pick up the card you know the event it captures. Tonight Buchholz takes the mound in another Sunday Night Baseball contest featuring the Yankees and Red Sox. There was a bit of a stir when the rivals met last month. This weekend they are back at Fenway and I am sure the fans will be watching for more drama. 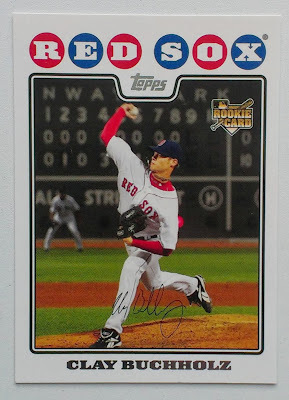 There are a couple of 2008 Cards that celebrate the Clay Buchholz no-hitter. One of the byproducts of the Phillies miserable season is an incredible array of new faces. Hopefully some of these folks will stick around and be part of the Phillies future. 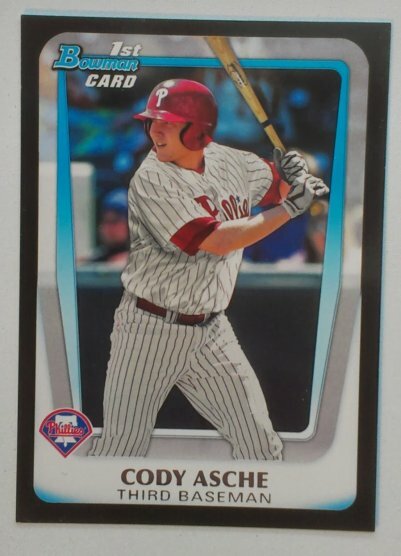 Cody Asche may be one of the candidates for Phils 2014. Cody Asche has gotten himself into 30+ games in his first campaign as a major leaguer. The third baseman has looked good in the field and provided some pop at the plate. Asche hit his 5th homer of the season earlier tonight - He had 15 at AAA Lehigh Valley prior to getting called up. The Phillies have struggled to find a solution for the hot corner. During the recent stretch of winning seasons they have settled on mediocre players at a position that is traditionally considered a premium offensive spot. Both Pedro Feliz and Placido Polanco were adequate, but it would be nice to get some production from a homegrown talent. 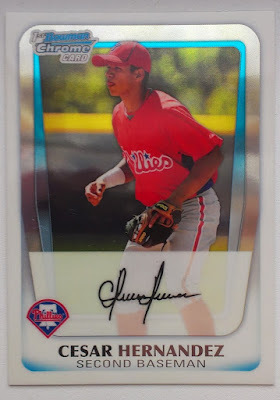 We recently featured a 2011 Bowman Chrome of Cesar Hernandez. For more info on that set click here. The 2011 Bowman Design looks pretty decent on both base and Chrome. I like the way the keep the photo in black/white beyond the border of the color photo. It helps the player photo pop a bit. The Phillies Room featured the Bowman Card whenever Asche was first called up a month ago. This week the Baltimore Orioles host the New York Yankees for a four game set that could propel one of the two teams into a Wild Card spot. Entering the series the Orioles are 2 games behind the Rays for the 2 WC, while the Yankees are an additional 1/2 game behind. The O's are sending out their Ace for game 1 of the series. Yes I said ACE. Chris Tillman is only 25 but I have him as the #1 pitcher on the O's staff. He leads the team in Wins, ERA, Ks, and Innings. For the Orioles to make the playoffs, they are going to need Tillman to continue to perform at an Ace level. The O's are on ESPN Monday Night Baseball tonight and with the Phillies out of it, I will be keeping an eye on my AL squad this week. Two notes on 2010 Topps. I generally like the design of the set. The wave along the cards lefthand side gives a nice splash of colors, however the Orioles got screwed here - the black wave is way to dark for my taste. The other observation I wanted to note is the common complaint regarding the poor scanning of foiled fonts. I have moved over to using a smart phone to upload pix of cards. This is for a variety of reasons, but this time through I realized that I can beat the foil by tilting the camera(phone) at angles until I get the photo I want. The image is a little dark, but I think that is low afternoon light in the Team Phungo card room, more than the camera angle. 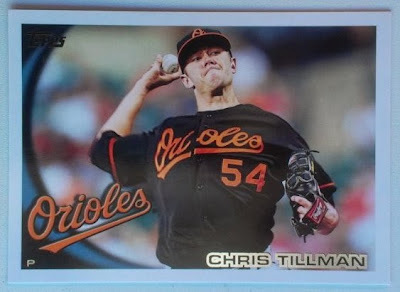 2010 Topps is only three years old but the #54 Tillman is shown wearing on the card is 2 numbers ago for the righty. Tillman wore 54 has a rookie in 2009, he yielded that number for #24 which he retained until 2012 when Wilson Betemit joined the Orioles. Tillman then switched to the #30 which he currently wears. Tonight's on Sunday Night Baseball the Cincinnati Reds will attempt to sweep the Dodgers in what could be a NL playoff preview. 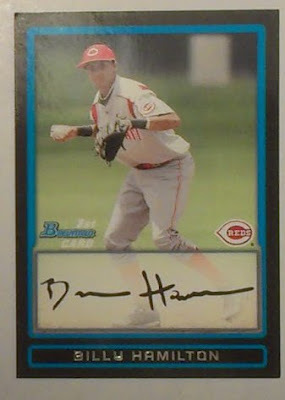 For at least the last two seasons Billy Hamilton has been a BuzzProspect due to his ridiculous base stealing numbers. He has a total of 395 SBs over 5 minor league seasons, including 155 in 2012 and a combined 230 the last two seasons. Hamilton has only been in four games for the big club, but has already made an impact. On Tuesday night he pinch ran for Ryan Ludwick - Hamilton Stole 2nd and scored on a Todd Frazier Double. It was the only run of a 1-0 Reds victory. Nice debut for the prospect. The following night the Reds were down a run in the 14th inning when Hamilton did virtually the same thing. PR for Ludwick, SB, score on a Zach Cozart single. 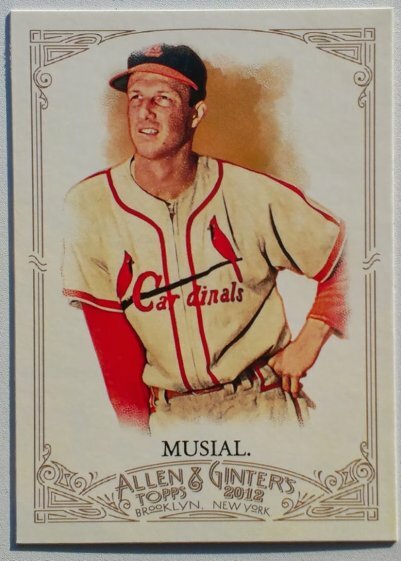 Unfortunately for the Reds the Cardinals had a young star of their own, Matt Adams who performed some heroics of his own that night, as Cincinnati lost the marathon contest 5-4. Last night Hamilton had a similar impact for versus the Dodgers, once again PR for Ludwick, SB, score on Frazier single. It should be noted that on Friday night Hamilton collected a stolen base, but was also doubled off 3B on a liner back to pitcher Brian Wilson. 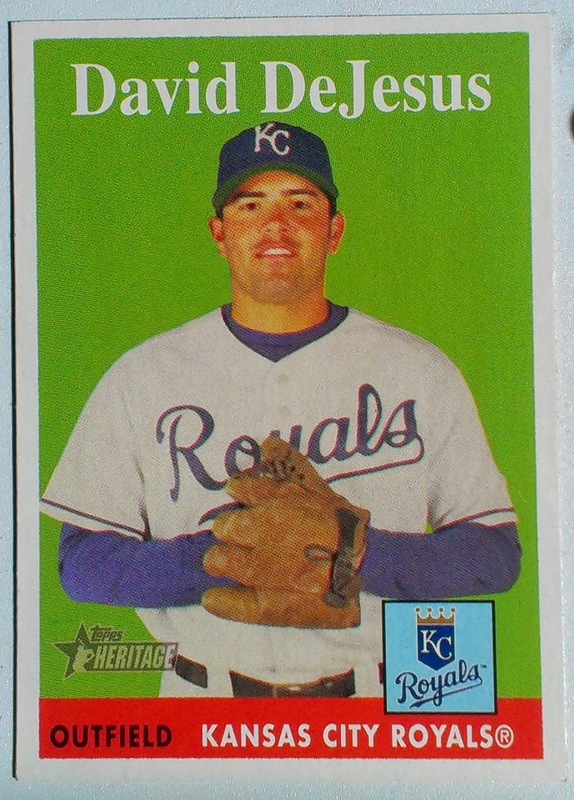 I am pretty sure this is the first card issued of Billly Hamilton, although it doesn't fall under the new "official MLB" RC designation - since Hamilton had not played in the majors prior to the products release. Regardless I was very happy to find this card in a nickle box a few months ago. It really doesn't sell for much on the auction market, but $2.50 is a lot more than a nickle. The high end for Billy Hamilton right now is the Gold #d/50 version of this card which went for a tidy $102. If the season had been different this would have been the infield for a playoff caliber team. Instead Chase Utley and Ryan Howard once again had stints on the DL. The veteran quartet ended up playing 38 games together, which is actually a lot more then I would have guessed. This isn't Cesar Hernandez's first call to the majors. That happened earlier this season when Team Phungo Was out of town. The 23 year old Hernandez is yet to make an impression at the major league level. He did bat .309 at AAA. Similar to Ben Revere he racked up a bunch of steals without much pop. The Bowman card above specifies that Cesar is a second baseman, but also like Revere he has been playing Centerfield this year. The Phils have signed Chase Utley on for the next few seasons, so if Hernandez has a future with the Phillies it may be in the outfield. BCP 2011 is a 110 card subset #111-#220 which is a continuation of the set initiated in regular Bowman. The few players from the Chrome subset that have made it to the majors include Bryce Harper, Matt Moore, Jean Segura, Andy Dirks, Steve Cisheck, Tyler Moore, Taylor Pastornicky, Brett Lawrie, Rob Brantley, and a couple of Phillies pitchers Ethan Martin, Jonathan Pettibone and JC Ramirez. 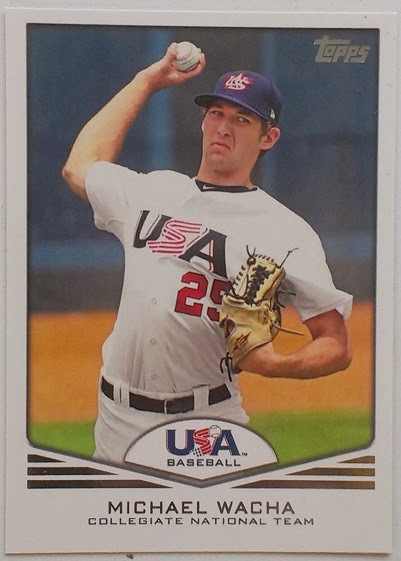 Recent new Dad Cutter Dykstra is also in 2011 Bowman Chrome Prospects. Tonight the Detroit Tigers Max Scherzer is attempting to become the first member of the 20 win club in 2013. The Tigers Max Scherzer has put together an amazing season. Going into tonight he is 19-1. Sometimes Win Loss records are seen as empty numbers. Certainly each season there seems like there is one Phillies pitcher that gets no run support (Hamels in 2013), and one who gets a lot of runs (Kendrick every season). In Scherzer's case This isn't true. He may not of racked up 20 wins with less offense, but he was still destined to get a bunch. The current WAR leader among AL pitchers is Chris Sale. I am not sure why this is. Scherzer and Sale have comparable innnigs, ERA, ERA+, Strikeout and WHIP numbers.In fact Scherzer wins All of those categories. I checked around on Twitter and Dan M @_LeftField (blog = Left Field) specified higher competition, ballpark factors, and the Whilte Sox mediocre defense as reasons that Sale's WAR rating is better than Scherzer. This amounts to a WAR calculation for Sale of 6.2 while Scherzer stands at 5.8. Regardless Scherzer is pitching for a team likely destined for postseason play, while the White Sox certainly are not. There is still a month left to play and right now I would have Scherzer as unanimous Cy Young in the AL. 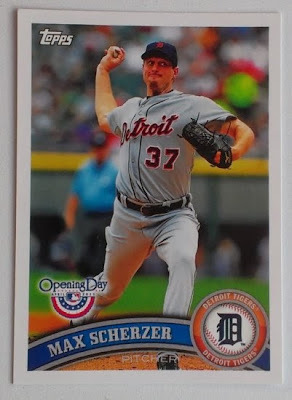 Another interesting aspect of Max Scherszer's season is his emergence as staff ace on a team that also has Justin Verlander. Verlander has been decent, but not nearly as dominant as his previous seasons. He has struggled a bit his last few starts and overall his season has been average since Mid May. Through his first 8 starts of the Season Verlander had an ERA of 1.93. Since then his ERA has been in the middle 4s. He has maintained a .500 record across both sets of starts and is still among the league leaders in Innings and Strikeouts. However, both of those numbers are in the middle of the top 10 among his peers. He led the the league in both Ks and IPs in 3 of the last 4 years. Justin Verlander is still a good pitcher on a good team and it will be interesting to see if he can return to form as October approaches. If Max Scherzer can be the staff Ace in the playoffs it makes for some nice options for Jim Leyland at the top of the Tigers rotation. One of the most notable Wheeze Kids was Hall of Famer Joe Morgan. Regardless of what folks may think of Morgan as a broadcaster he was a helluva ballplayer. Most people remember him from his days with the Big Red Machine, but he was also played second base for the Phils during their 1983 NL Pennant winning season. Morgan was down to his penultimate season by the time he got to the Phillies and his age was showing. He only batted .230, but he did have a good World Series. He hit a game tying Home Run in the only game of the series which Phillies won. In the last post season AB of his career Morgan Tripled off of Scott McGregor. It was the last hit of the Phillies season. The Reds are The Great Eight of the Big Red Machine. The centerpiece of the event will be Joe Morgan weekend which will feature the unveiling of a statue of the Hall of Famer. For more information on Joe Morgan Weekend click here. The Phillies have officially bid farewell to Michael Young after a 126 game stint. There have been only a few Michael Young cards with him representing the Phillies, and I don't think I have picked up any of them yet. As a Phillies player I think Young can be found in 2013 Topps Heritage and A&G. This seasons Phillies starting lineup cards still feature 2011 Topps. Michael Young's is off to the Los Angeles to see if he can make get involved in the Postseason with Dodgers. A decade from not it will be hard to remember Young played for the Phillies at all. Regardless best of luck to Mr Young in LA, at least we will have one Phils player to root for in October.